ASRock plans on making ASRock Transformers-themed motherboard for their Socket LGA2011 Intel X79 lineup. In their Facebook fan page, they showed off two motherboards. 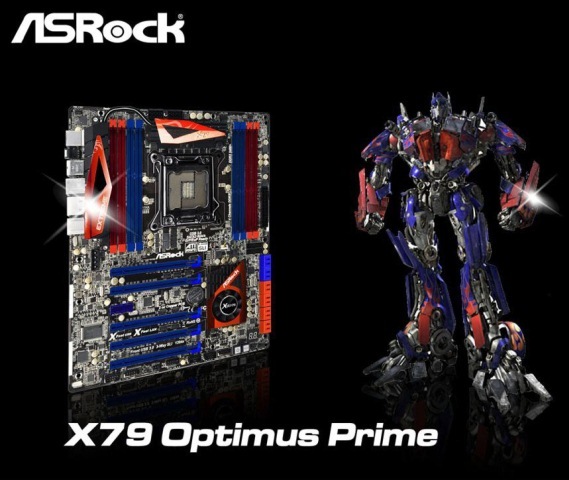 One is the ASRock X79 Optimus Prime motherboard which is based on Hasbro’s Optimus Prime. 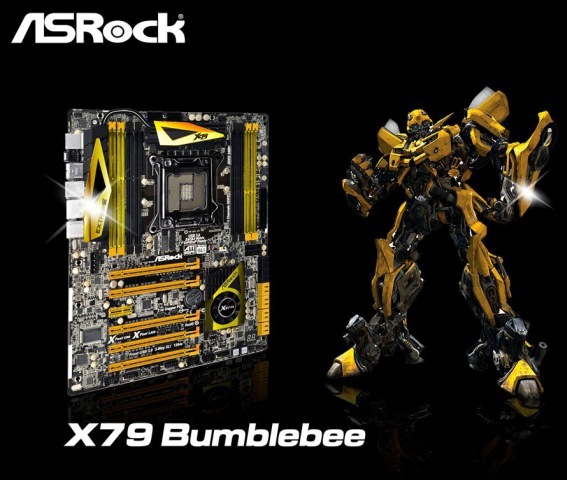 And the other is ASRock X79 Bumblebee, which is also designed after Hasbro’s Bumblebee. The images above are not the actual motherboards yet. They are just concept images. The real LGA2011 X79 Transformers-themed motherboards might be similar to the concept images, and we will know soon once they are unveiled. If you look closely in the Transformers-themed X79 Optimus Prime and X79 Bumblebee motherboards, they look like ASRock’s X79 Extreme9. ASRock did not disclose any information or specifications regarding the Transformers-themed motherboards yet. ASRock is definitely targeting consumers and PC enthusiasts who are also fans of Transformers. By the way, Razer has also Transformers-themed gaming peripherals which they already released earlier this year. Learn more about Razer Transformers Dark of the Moon-theme Gaming Peripherals.